I fell in love with photography 35 years ago with a Nikon FE film camera. My career in medicine interrupted my passion, but I returned to it when digital photography arrived. I look for variety in my photography and am always seeking something new to capture. My primary interests are the local Colorado landscape and travel photography. 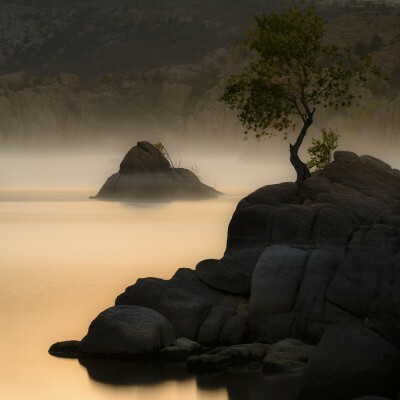 Mystical was shot at Watson Lake in Arizona. As the sun came up, mist began to rise off the lake giving the effect. It was shot with a Nikon D800 at 120mm, 1/60 second, F8, ISO 100.